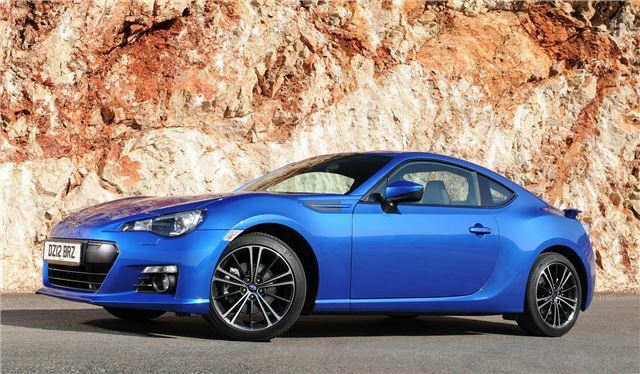 Subaru has announced that its BRZ sports car will cost from £24,995 when it goes on sale in Summer. A cheaper, stripped out version is due next year, which currently sells for about £16,000 in Japan, although it will cost a little more in the UK. Two trim levels – SE and SE Lux – will be offered from launch and both come with the same 2.0-litre boxer engine. Standard equipment for the SE includes 17-inch alloy wheels, climate control, a limited slip differential, keyless entry, leather steering wheel and six speaker audio. SE models have the same basic equipment but with the addition of leather seats. There are two optional extras – sat nav (£1000) and special paint finishes (£500). Additionally, all BRZ models come with Subaru’s ETCo package, which covers everything from minor dent repairs and a monthly wash to winter wheels, accident management and a three-year warranty. The SE model is priced at £24,995 for the manual and £26,495 for the automatic. SE Lux trim costs from £26,496 for the manual and £27,995 for the automatic. The starting price is identical to that of the BRZ's sister car, the Toyota GT86.